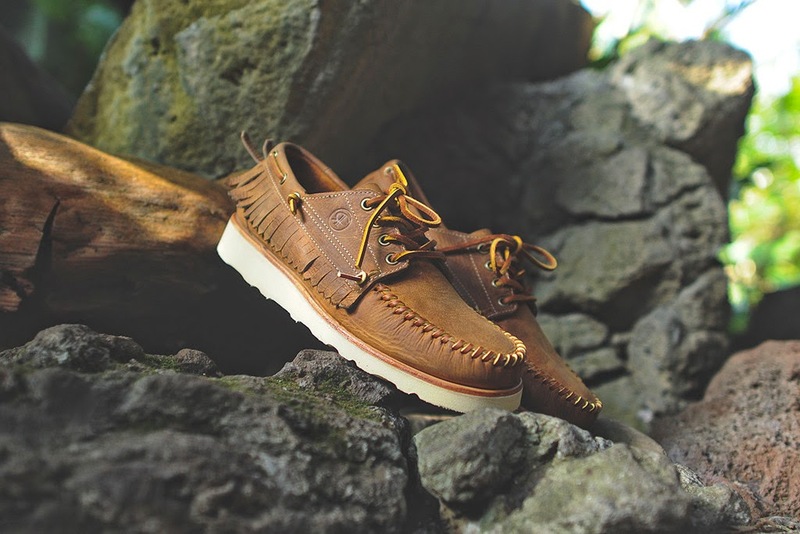 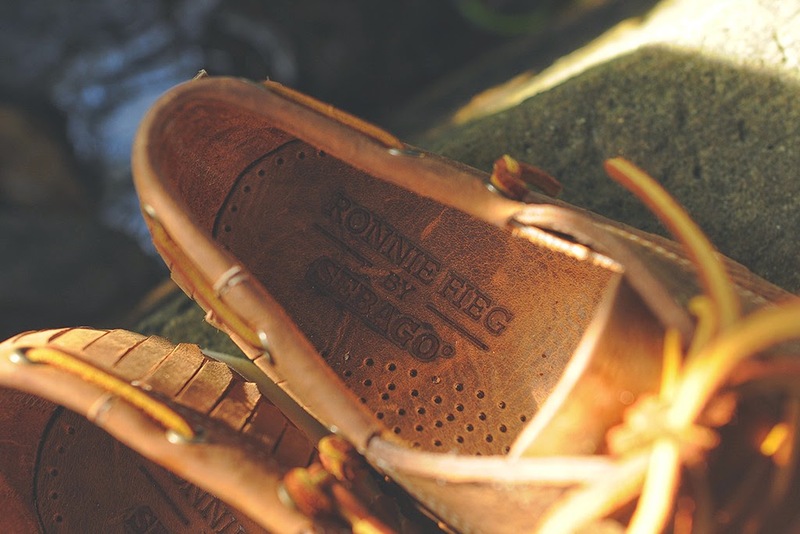 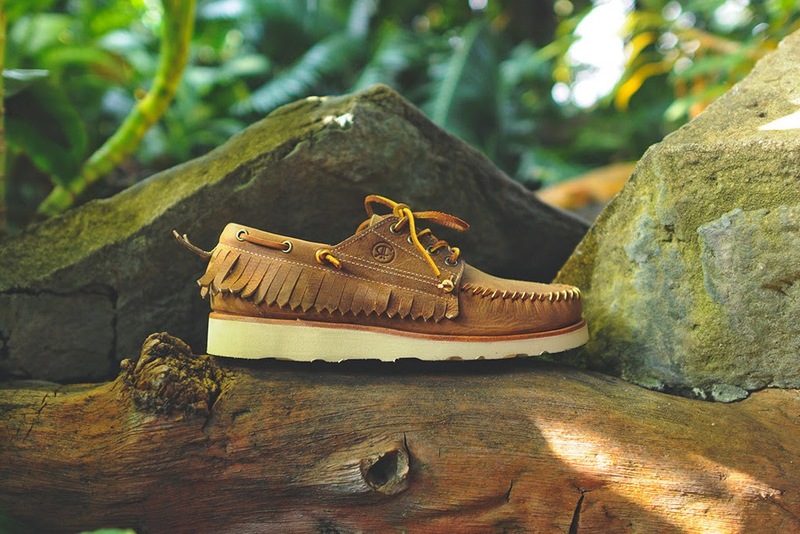 Ronnie Fieg has taken the classic aesthetic from footwear powerhouse Sebago once again and created a cool blend of modern and classic footwear with the new Pancho shoe. 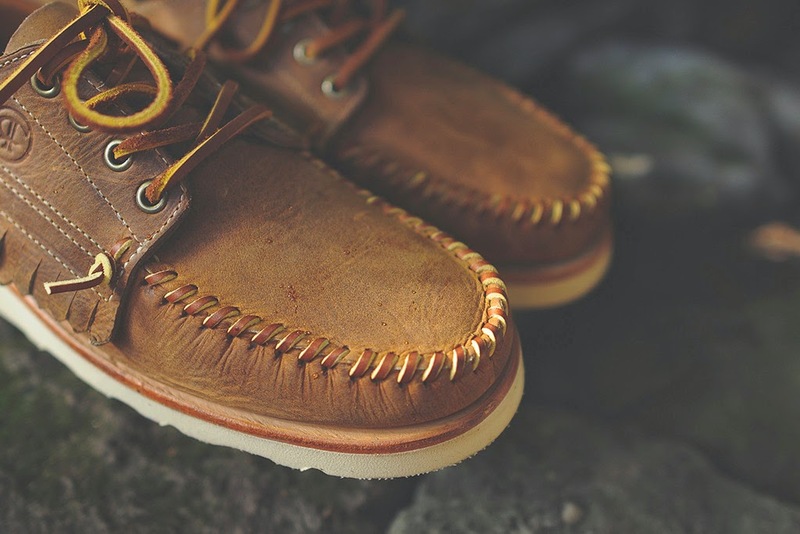 The handmade fringed collar upper in Crazy Horse leather adds a vintage feel and dimension to the shoe that will only look cooler over time. 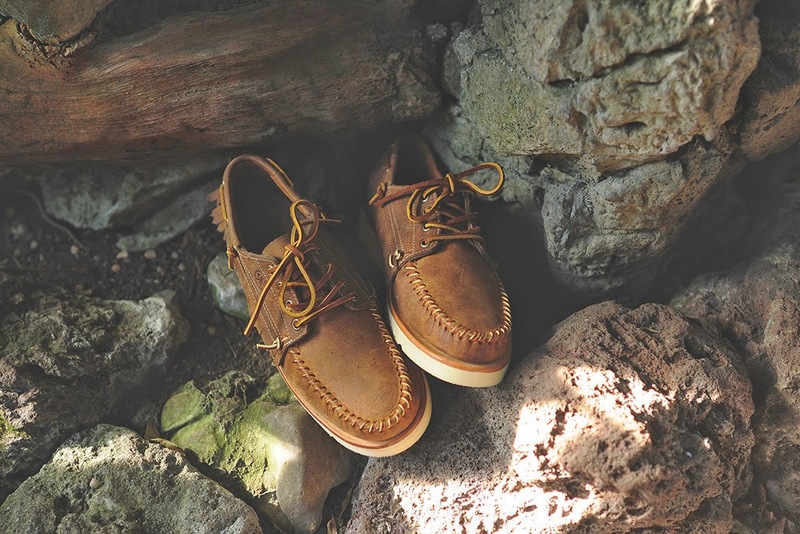 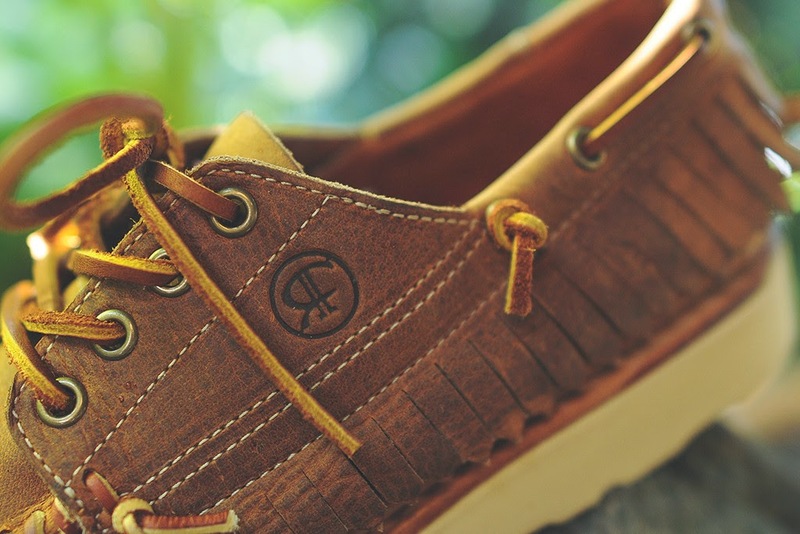 Details like the leather laces, metal eyelets and a nice Goodyear™welted Vibram® sole make this shoe a plausible option for a spring/summer moccasin boat shoe hybrid remix. 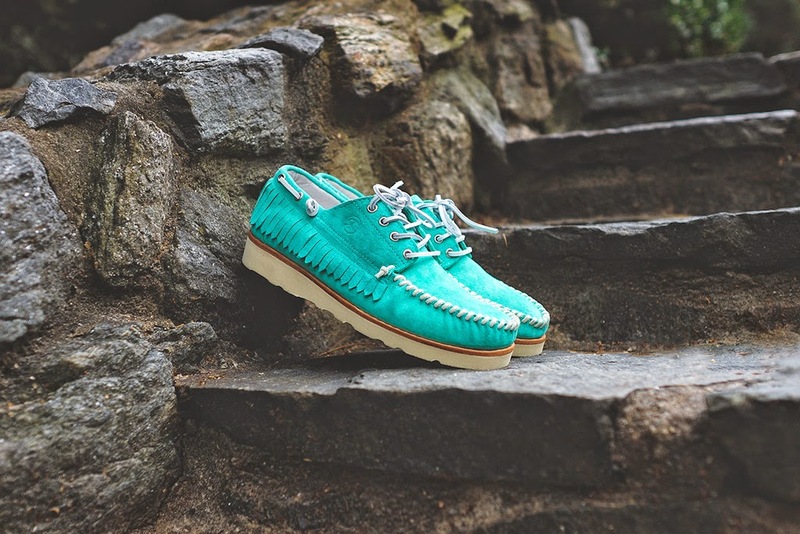 Available now in both color ways of brown and mint green at Ronnie Fieg's online store here.